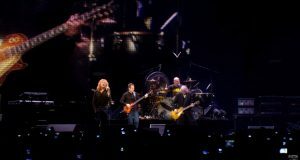 Led Zeppelin Albums Ranked | their Uniqueness Reviews & Awards!! Check out.. The legacy of the Led Zeppelin Albums which is still on a roll!! A world-famous British Hard Rock/Heavy metal band Led Zeppelin. How they ranked by itself and how they were able to secure their place as one of the most influential, mind-blowing, and inspiring, and legendary British Hard Rock/Heavy metal band of the world music industry. Their all nine Heavy metal studio albums and were able to secure their places on the US Billboard album top chart among the top ten of the heavy metal bands!! Led Zeppelin ranked like a heaviest Heavy metal band of all time by Rolling Stone magazine and the biggest metal band of the seventies as well. Not only they were able to list themselves in the Rock n’ Roll Hall of fame back in 1995. John Paul Jones (Bass and key players). Led Zeppelin is still famous for their heavy guitar works and for their style of Blues and art of their headbanging Psychedelic way of singing which introduced them as one of the pioneer progressive heavy metal band of that time. Now a day a hundred are sub-genres are out there but without any doubt bands like Led Zeppelin was the originator of the history of the Heavy Metal and Hard Rock bands. Because of the legacies of the Led Zeppelin, they will remain in the hearts of millions of rock fans all over the world. After signing with Atlantic records, Led Zeppelin started to rule the music world by releasing their led zeppelin albums in order, Led Zeppelin albums ranked with their significant Led Zeppelin albums covers as well!! This time they were able to sell 13 million+ copies around the globe and nominated as the one the of a revolutionary album of all time!! With awards like Grammy, RIAA and started their longest American and European concerts tour ever!! WOOOW: D ROCK ON…. The 3rd studio album of the Led Zeppelin with folk and acoustic works what made the turning point of their musical career as well!! Lyrics were written and composed in a cottage in the middle of nature which had a significant folk essence upon the album. along with another Platinum Certification from the RIAA and 500, all-time hits album from the Rolling Stone!! BINGOOO!! 😀 Even the artwork of the album created from the concept of the novel childhood’s end!! The mighty guitarist Jimmy page tagged that album as the most important album because that was the comeback album of their key vocalist Robert plant from a car accident. the tension between the band and the recording companies but everything was wiped away by the massive commercial success of the album. But point to be noted Led Zeppelin by himself doesn’t consider it as their Live album performance rather than just an album of Soundtracks that’s all!! That album was a commercial flop album by the way…. Mehhh!! Remastered and released with six new unreleased tracks once again in 2007. With high-quality sounds, approach and commercially successful album. Another live album featuring the recording studio session of the of the Led Zeppelin, in the British broadcasting corporation, BBC. Tracks of Zeppelin Albums were elected from four different gigs of them and slightly edited on their re-release of 2016. That live album was based on the live performance of the band back in 1972 at Long beach arena of Los Angeles. A movie based on the concert of Led Zeppelin Ahmet Ertegun Tribute Concert in London back in 2007. Released on CD, DVD, HD, LP Blu-Ray format. A compilation album, released with brand new tracks along with 2 live performed tracks and played on a reunited concert back in 1985 and 1988 as well. After the passing away of their world-class drummer John Bonham, the meaning of their title Coda makes sense, is a long passage which ends with the musical harmony through the main body, which was an excellent metaphorical example by the Zeppelin Albums. A compilation album of the various tracks from the different elected albums of the band by Atlantic Records with two unreleased tracks as well. In 1997, Led Zeppelin released their BBC sessions as a metal band album!! And in the next year their official album walking into Clarksdale in 1998. In that compilation album of the English Hard Rock/Heavy metal band like Led, Zeppelin tracks are taken from each studio albums a double disc album with a chronological booklet as well with rare photos on it for the Zeppelin Albums ranked WOOW: D Its LP released in 1998!! and managed the #7th place on the US Billboard as a pioneering metal!! In 1993 they released their second Led Zeppelin box set 2 with some studio recording and live performances as well. COOL!! A compilation album of the English Hard Rock/Heavy metal band, Led Zeppelin series of the double volume set. The first one is Early days and the second volume is Latter-days. Both the volumes are certified as platinum from the RIAA released in 2000 and after that, it re-Released as Mothership, (2007). Led Zeppelin started to release some of their track as single and started their tours in so many corners of the US. Their single Whole Lotta Love tagged in the #4 of the US Billboard chart in 1970. Their straight forward attitude, guitar-based headbanging jamming, arrangements played a vital role to make Led Zeppelin as superstars. But just like everything has an end that’s why because of the accusations of their Tax exile status hey faced several criticisms and their fame was in threats. But that was a failure project for them and nothing goes according to the track on both the concerts they called it as BIG DISAPPOINTMENT!! But still, Bonham’s son Jason joined them in other gigs in 1988, 1995, 2007. And that time they clicked on it!! HELL YEAH!! In 1994 on their MTV project unleaded that that band gets reunited again and out for a world tour!! Next year they ranked and nominated of American’s Rock n’ roll hall of fame as a Heavy metal band!! Cool hah?! Back in 2003, they released their third live album how the west was won and their albums in DVD which becomes the bestselling DVD in the history of Rock n’ Roll. one of the most successful heads banging talented Heavy metal band in the history of Rock music. Not only that, that mind-blowing band rocked for the reasons of influencing the world-famous bands like Black Sabbath, Queen, Megadeth, Dream theater and later produces genre like Alternative Rock and punk rock as well such as bands like Smashing Pumpkins, Sound garden Kurt Kobain’s Nirvana etc. Zeppelin Albums got the MOJO awards back in 2008 as well for their valuable and comprehensive contribution towards British music and being the greatest Rock band of all time. In 2016 Los Angeles Jury board secured their iconic hit song Stairway to Heaven from the accusation of the ripping n’ plagiarized from the song Taurus by Spirits. So, in that case, Led Zeppelin won the case of false accusations of the ripping off same starting chord of da track!! Lyricists like Robert Plant n’ Jimmy page considers as da top ten Rock lyricists of the Heavy metal world for his contribution towards Zeppelin Albums ranked!! WOW!! Jimmy Page joined the band Yardbirds back in 1966 and changed his style from bass to lead guitar player but that band failed to last long. That band played the new yard birds. Jimmy Page made a revolution on his six decades of musical career in the metal bands, he wrote the rule book on da art of Rock and Heavy metal guitar works from Zeppelin, based on his solos and riffing as well!! These 10 guitar solos proved that what an iconic guitarist he is!! For your life, Black dog, the Rover, Achilles last stand, in the evening, Ramble on, Whole lotta love, communication breakdown, since I’ve been loving you, and obviously the legendary Stairway to heaven!! ROCK ON!! Led Zeppelin rocked for their famous identity of the Blues of Psychedelic. That’s how Led Zeppelin managed to secure their position in #6 on the UK top chart. Page and Plant left the band in 1970 but wrote the majority of the lyrics of their third and fourth’s Heavy Metal Studio album. Their second album Led Zeppelin 2 was more successful than the first one according to the commercial point of views and grabbed the #1 on the US top chart!! HELL YEAH!! Still, their audiences accepted Zeppelin Albums, rule as the hard and brutal!! This helped them to increase their popularity like hell. Just for an example some of their Solo heavy metal band concerts last 4+ hours!! In 1970 Led Zeppelin released their new album Led Zeppelin 3 which was very much influenced by their acoustic works. The mixture of folk essences ensures their top position in UK and US top charts not only that, they nominated themselves as the next Heavy metal band album Led Zeppelin 4 (1971) also did the same like their previous albums does not only that Led Zeppelin were able to sell more than 37+ millions of copies of it!! How cool is that?! In 1973, they released their 5th heavy metal album Houses of the Holy which paved their way of becoming for influential because of their appearances and style of their Albums. for the attendances of the largest metal band audiences ever which was 56,800+ fans in Shea stadium concert and in Madison square garden as well!! DAMN!! In 1974, released the Swab song of their own recorded label and the logo of that label became a viral logo for the t-shirts because of its popularities!! In the next year (1975), Led Zeppelin released their Physical Graffiti as their double album which nominated them as the world’s best rock band besides The Who and the Rolling Stone as well. COOL YEAH!! In 1976 page became affected badly by his addiction to heroin and that has a savior effect on their live performances. In that period of time in 1976, their movie based on their heavy metal band concerts the song remains the same released. But still, they are the largest indoor solo audiences of 76,229 in the Pontiac Silverdome in 1977. In this year, Bonham passed away accidentally because of excessive drinking’s. Their Upcoming North American Heavy metal tour got canceled n’ not only that the band was about to broke up!! With that messed up, the condition of the band, this time they released their new Heavy metal band album “Honey Dripper” in 1984. Paul and Rodger tried to focus on their new project. Read More: Dark side of Metalheads!